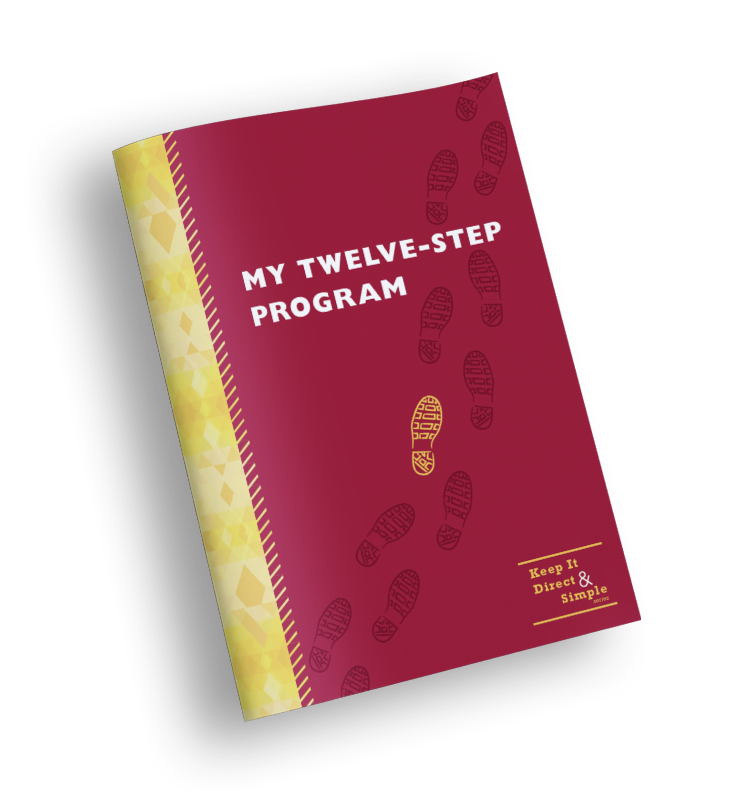 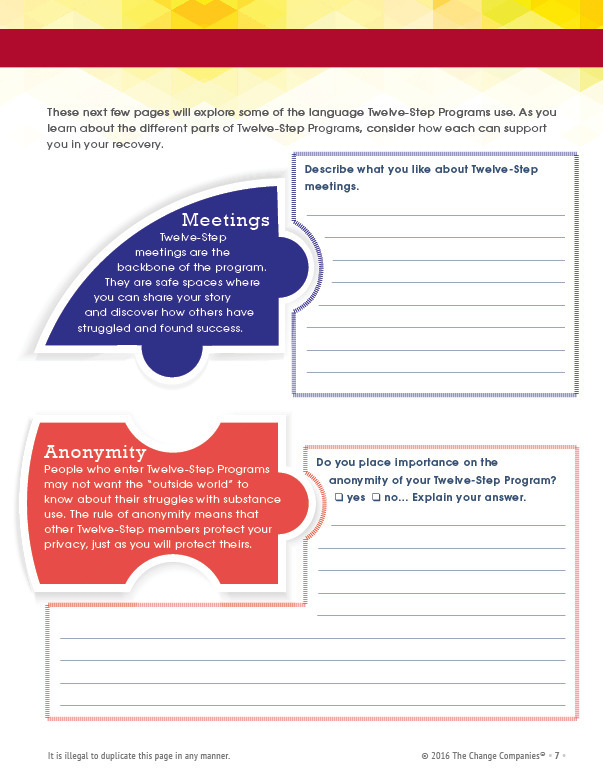 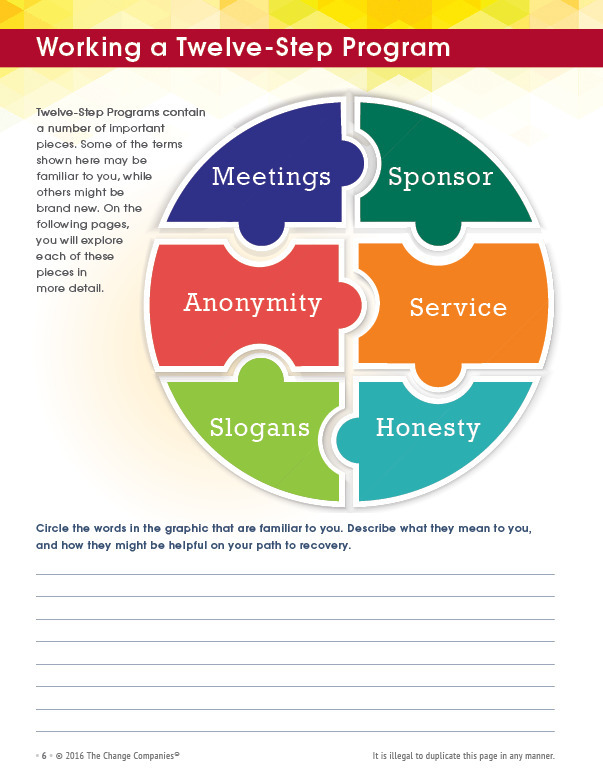 Twelve-Step Programs have helped millions of people build a solid foundation for recovery. 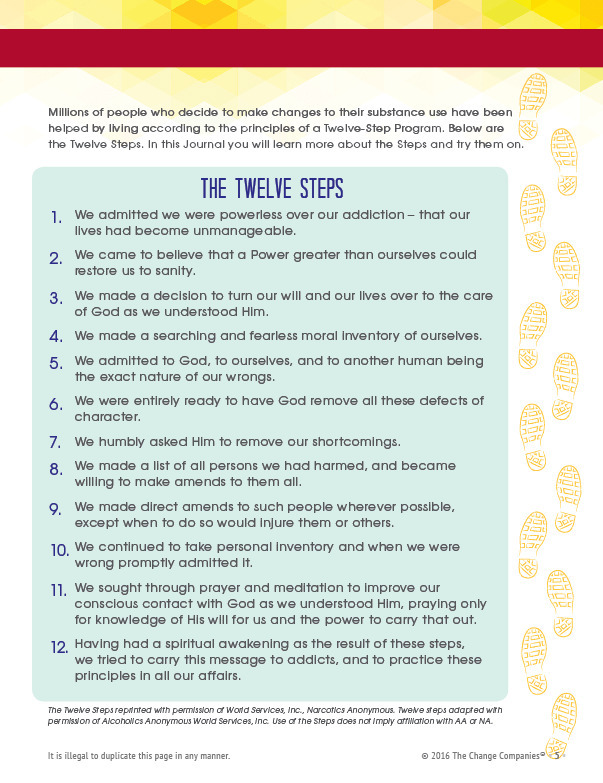 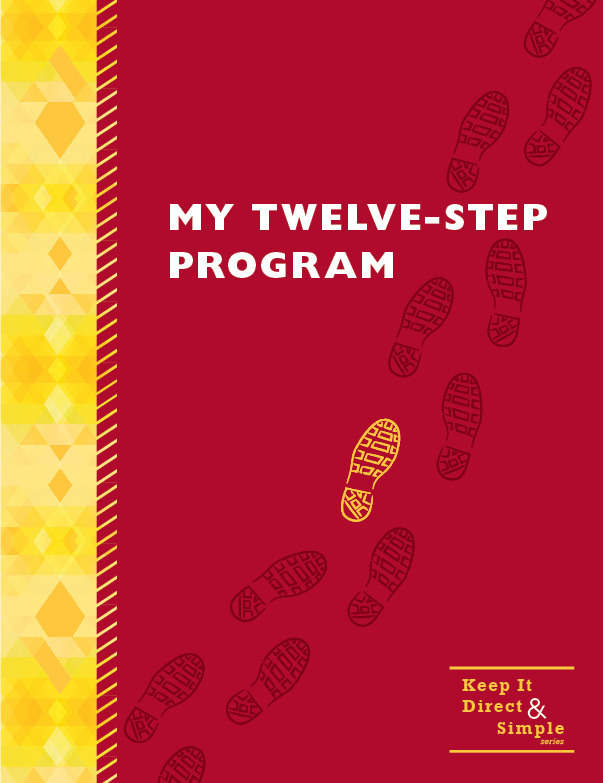 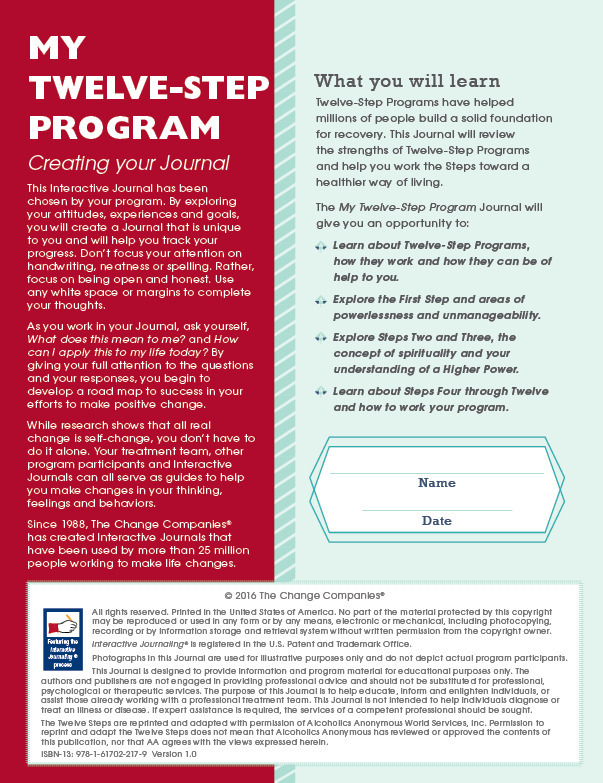 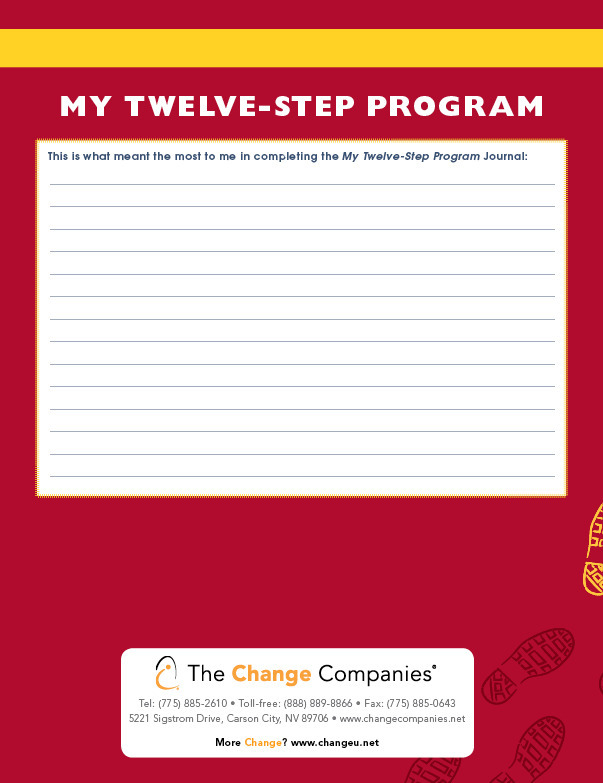 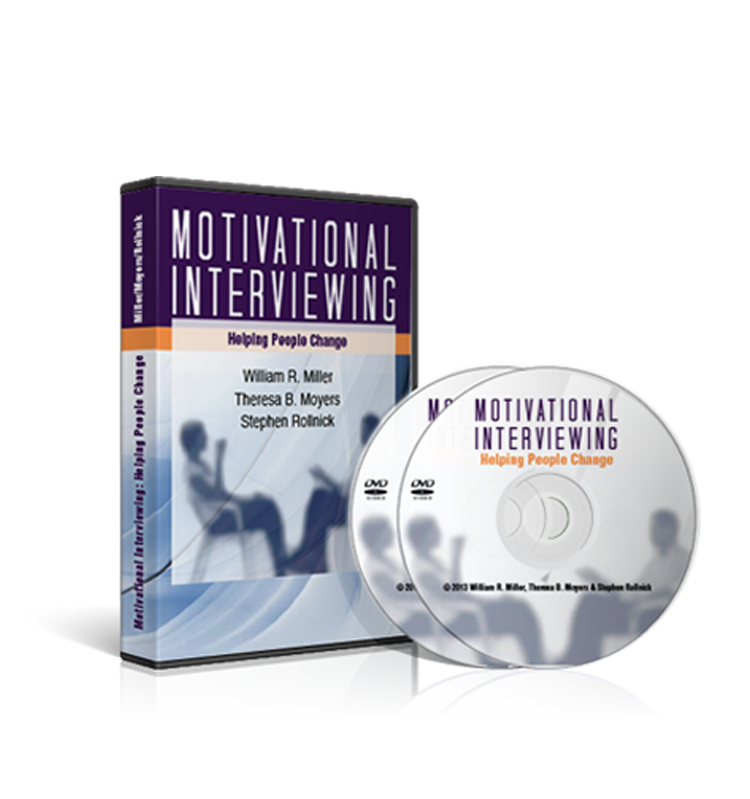 This Journal will review the strengths of Twelve-Step Programs and help participants work through Step One, recognizing their powerlessness and unmanageability and Steps Two and Three, understanding spirituality and the idea of a Higher Power. 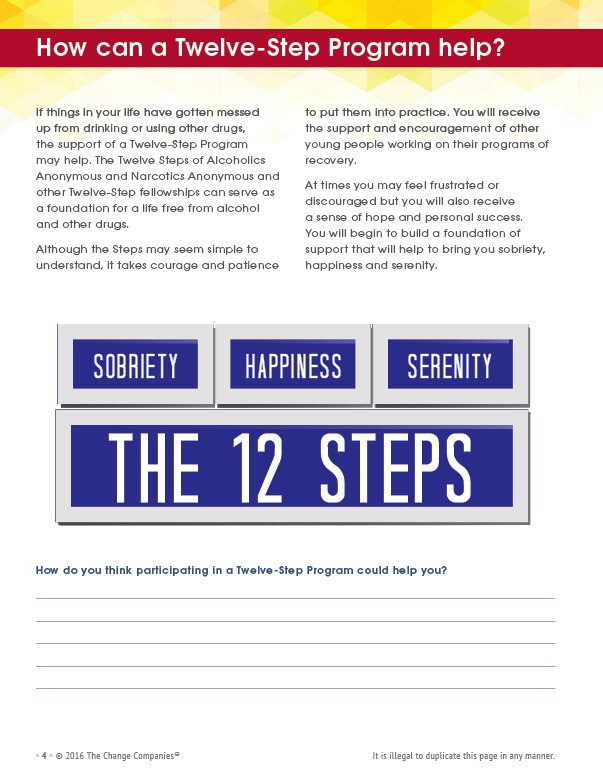 Participants will also take a brief look at Steps Four through Twelve as they continue to work a program of recovery.